Disadvantage: requires the ability to squat flat footed. In the absence of nearby dividers or roof, low cut shirt isn’t a brass magnet. Indoors, that would change. The gun is a Troy SOCC carbine with a Leupold LCO red dot. 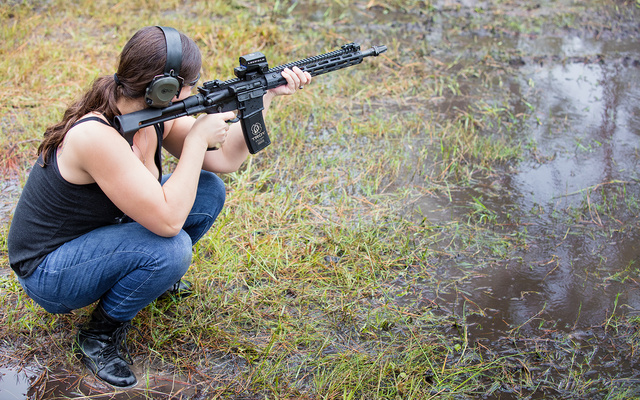 This entry was posted in training, weapon and tagged 223, AR15. Bookmark the permalink.